Don’t make getting under your vehicle for cleaning, servicing or maintenance a chore. 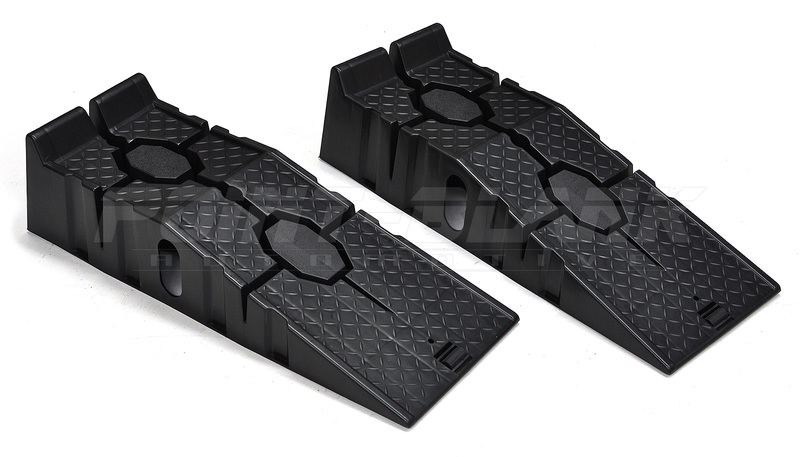 These 910mm long ramps will easily raise your vehicle up to 170mm off the ground, allowing you to get down to business instead of wasting time with blocks of wood, trolley jacks and jack stands. 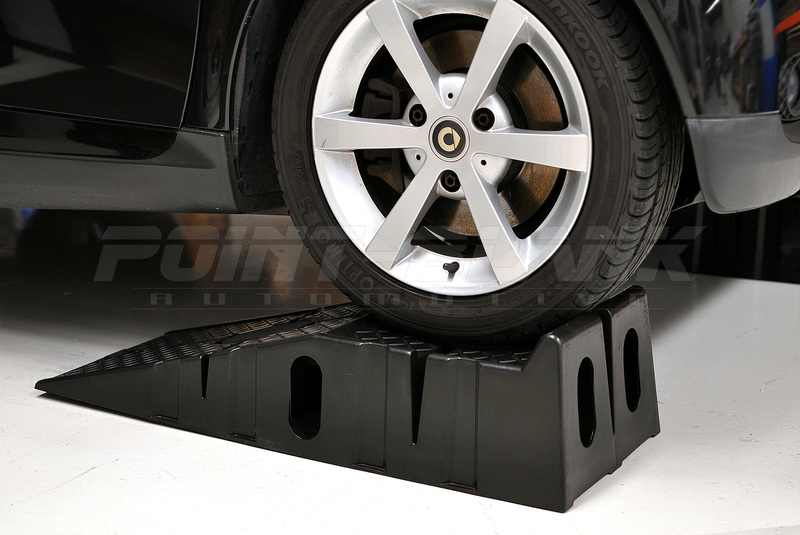 Suitable for most legal-height vehicles, these lightweight ramps feature a heavily textured anti-slip surface, and each ramp has a rubber nose-piece for creating initial 'bite' as the car is driven onto the ramps. These ramps are designed to stack on top of eachother for easy storage. 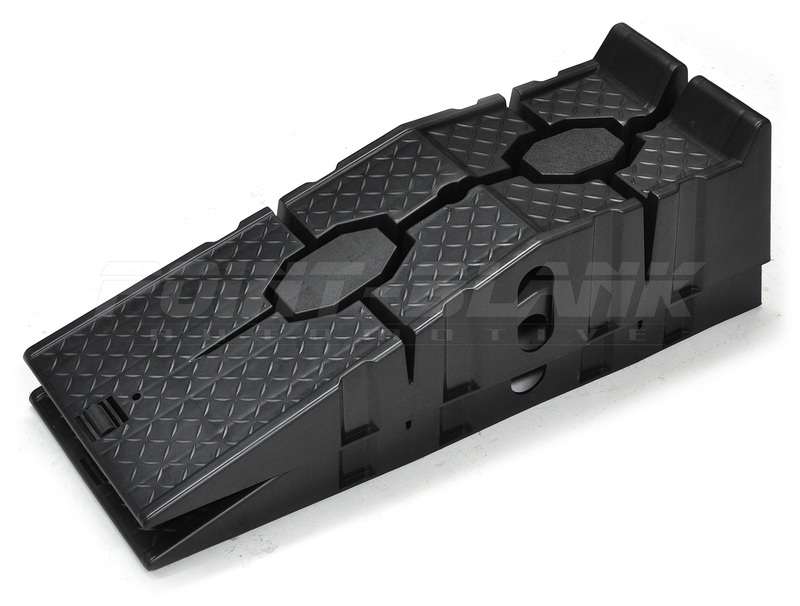 The ramps are made from highly durable polypropylene plastic and are rated to 2000kg per pair. Keep in mind that a significantly heavier vehicle can be used on these ramps, since the weight on the ramps will only be a portion of the vehicles total weight. Don't forget that jack-stands should always be used as a secondary safety measure whenever a vehicles is raised off the floor.